Cerec veneers are a type of dental veneer. They are made by a completely different process to conventional teeth veneers. Basically, it is a CAD/CAM process, using very high-tech machines. But don't worry, the machines do their work in a different room, not in your mouth! All teeth veneers are thin wafers of dental porcelain that are fitted to the fronts of your teeth. But there are several ways of making them. Usually, they are constructed in a dental laboratory by a highly skilled dental technician. 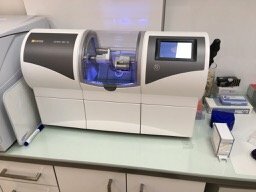 First, he had the idea of "scanning" a tooth cavity with ultrasound rather than taking a normal dental mould or impression. He thought that if we could get an image of an unborn baby with an ultrasound scan, why not a tooth? And how accurately? He found out that it couldn't be done with ultrasound, but swiss engineer Marco Brandestini found a way to do it with visible light. Second, he developed a technique for high-accuracy precision grinding out a dental filling from a solid block of ceramic, using a miniature version of industrial computerized milling. (CAD / CAM). That all sounds great, but how does it help dental patients? It's FAST. First, the dentist prepares the tooth for the veneer or inlay in his usual way. But then, instead of taking a normal mould or impression, he picks up a small camera and takes 2 or 3 photos of the tooth! Next, the picture of the tooth (in 3-D) comes up on a computer screen. While the patient relaxes with a drink, the dentist designs the veneer on-screen. He can make it exactly the right shape and size. Then, the veneer is milled out of a solid block of dental ceramic, right in the dentist's office. It only takes about 10 minutes for the milling process! There are ceramic blocks in all the different tooth colors. After checking a few details, the dentist can then bond the veneer onto the tooth, and it's all finished in the one appointment. For a general explanation of teeth veneers, have a look at my page about Veneers For Teeth. No conventional moulds nor impressions. Everything can be done in the dentist's office - no laboratory work. A veneer, crown or filling can be completed from start to finish in a little over one hour. No need for a temporary veneer or crown. The system is very expensive. It is best suited to only a few veneers at a time. Complexity and time required increases rapidly with multiple veneers. So Cerec veneers are a great way of getting say 1 or 2 veneers in just one dental appointment. That's the major advantage. In all these areas, they are about the same as conventional veneers. BUT they are FAST. So if time is important to you, and you need to get up to (say) 4 veneers done quickly, then Cerec veneers will do the job. 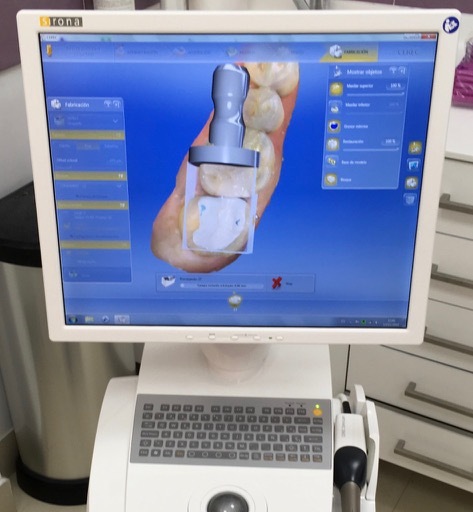 I recommend finding a dentist who has the most recent version of the Cerec system, (it's called Sirona Connect, using the Apollo DI camera), and who has a number of years experience in making veneers with Cerec. One extra thing to consider is the color of your teeth. Although veneers can mask a degree of darkness to make your teeth appear brighter, you will get a better result if you whiten up your teeth a week or two before you get the veneers done. On the veneers page, I recommend finding a dentist who is a member of the AACD if you want the best cosmetic veneers. Interestingly, I don't think you'll find many AACD members who make teeth veneers with the Cerec system. It's still new technology, and still gaining acceptance in the world of cosmetic dentistry. 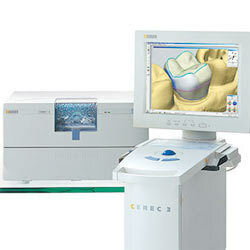 It is possible to get excellent cosmetic results with Cerec, but it's not easy. 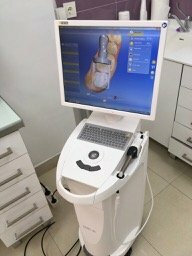 Look for a Cerec-experienced dentist with the latest equipment. And for anyone who's still reading this far down the page - Cerec stands for CERamic REConstruction! LIKE ALL VENEERS, you have to keep them very clean. Get a GOOD-QUALITY electric toothbrush. But don't get just any electric toothbrush - GET MY TOP-RATED BRUSH, THE CYBERSONIC 3. 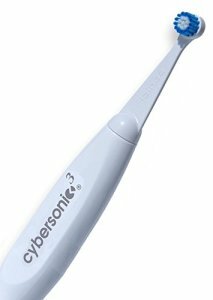 If you use my special DISCOUNT CODE you can get the Cybersonic3 at around HALF PRICE - that's just $50 Recommended toothbrush. I recommend the Cybersonic 3 to all my patients. Click HERE to learn more about this toothbrush, AND get your special discount code for a HALF PRICE deal!